Battlefield V's Grand Operations mode has an ambitious sense of scope that you don't normally get from multiplayer shooters. We goes hands on. Battlefield has always been defined by its multiplayer modes. First there was Conquest. Then there was Rush. And then there was “Operations.” The large-scale warfare mode, which debuted in Battlefield 1, quickly became one of my favorites, blending the standard Battlefield multiplayer with some light storytelling elements. For the first time, multiplayer matches weren’t just isolated, winner-takes-all brawls. They were contextualized, one small part of a larger war. That flare for the dramatic returns in Battlefield V ($60 preorder on Amazon), and we went hands-on with the renamed “Grand Operations” mode at EA Play yesterday. We captured some gameplay footage at EA Play 2018, and you’re welcome to watch. Our demo session ran at 1440p with all settings maxed out (I’m pretty sure), on an Nvidia GeForce GTX 1080 Ti. It looks very pretty. 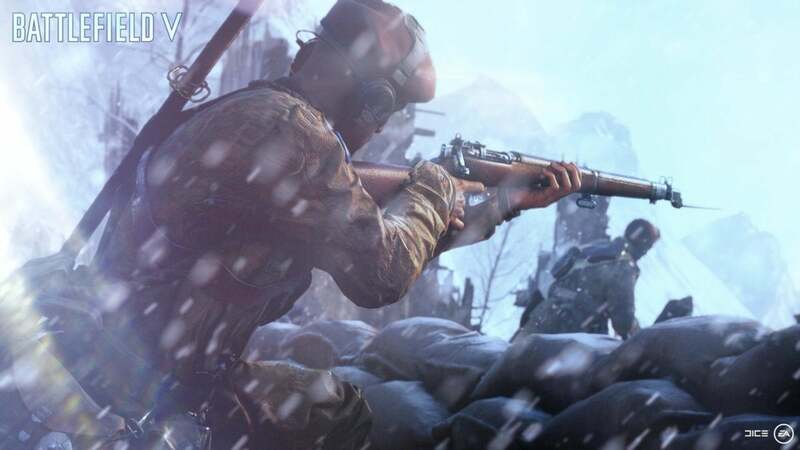 It’s worth going over though how Battlefield V’s multiplayer, and Grand Operations in particular, has changed. This is maybe the biggest overhaul I’ve seen to Battlefield since Bad Company 2, when destruction physics started really coming into play. It’s used for all sorts of things, many of which aren’t immediately clear when you’re dropped into battle. 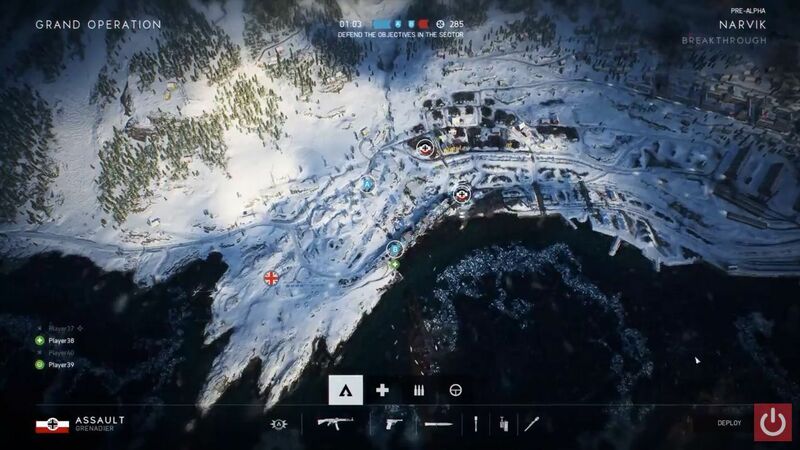 The map we were on, “Narvik,” took place in snowy Norway where the Nazis (my team) were holding a position along the coastline. There were several artillery cannons we needed to protect on the first map, as Allied paratroopers dropped in behind enemy lines. The Build Tool is key to setting up fortifications. The artillery cannons, for instance, sit on exposed hilltops to start. You can quickly rush up and throw together sandbags, giving your team some cover to pick off the Allies as they advance up the hill. There were also some anti-air guns, which you could wall off on three sides so as to give yourself some cover. Building a sandbag wall near an artillery fortification in Battlefield V Grand Operations. There are smaller buildables too. You can board up windows, giving yourself a small sniper hole to peep through. The rail depot can be set up with all sorts of walls and sandbags, a maze for oncoming troops to crawl down or leap over. And my favorite: You can sometimes scrape together enough snow to create a little foxhole on a barren hillside. Just enough cover to escape death, at times. It’s not a very free-form system. This isn’t Fortnite, and you’re not building entire houses (or giant piles of stairs) during the conflict. It’s a handy system though, and can completely change the flow of a match when used properly. Destruction always gave the attacking team options—new ways to advance on a position, or ways to flush out an annoying enemy sniper. Now, fortifications give the defenders some options too. Grand Operations is also a more ambitious mode, from what I can tell. Battlefield 1 did a good job stringing disparate maps together into a semblance of a story, but at the end of the day it was still a sequence of standard Battlefield matches with some short cutscenes on either end. 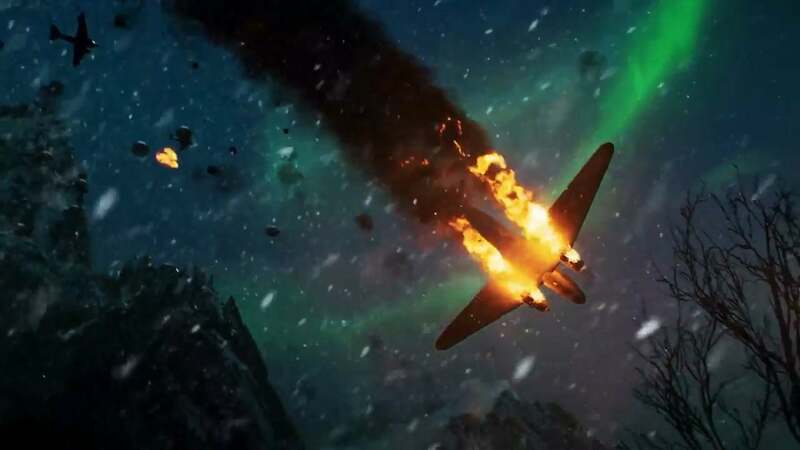 Battlefield V seems more interested in creating unique and interesting scenarios. We actually played the same map twice, this Norwegian coastal map. One match took place at night, and featured Allied paratroopers airdropping in on all sides. The Allies needed to destroy four artillery guns to win, while the Nazis tried to hold them off. Then we played the same map again, except now it was daytime and the Allies were trying to capture a series of control points. The Norwegian map we played on. Same map, two very different scenarios. And, I might add, a completely different feel to the landscape each time—Norway’s snowy hilltops under the soft light of the Aurora Borealis versus the harsh light of the sun. I’m looking forward to Battlefield V’s actual singleplayer campaign, the return of “War Stories” and its short vignettes. But I’m also excited by the potential for Grand Operations to really tell some interesting historical stories through Battlefield V’s competitive maps, to contextualize some of these battles in a way other World War II multiplayer games have never bothered with. Band of Brothers has been done to death in video games (including in Call of Duty: WWII just last year), but you can easily imagine for instance a Grand Operations “campaign” that starts with an Allied paratrooper landing in Normandy, moves on to Brecourt Manor, and then eventually Carentan, or one that hits the major conflicts in the Battle of the Bulge—but all done in multiplayer. 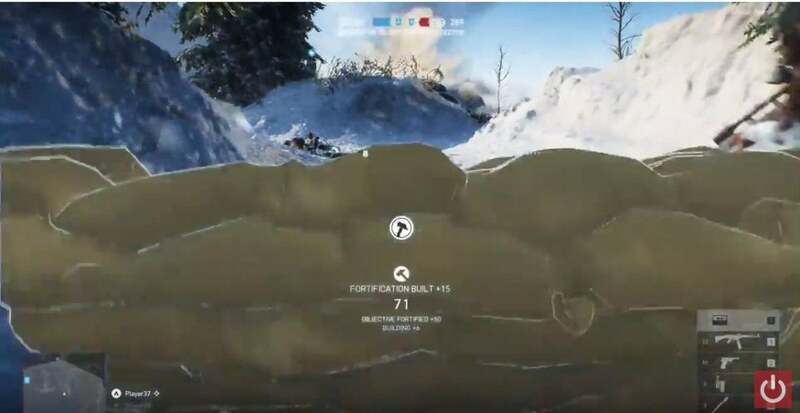 It’s a really unique way to position what used to be a mindless map rotation, and I’m curious to see what Battlefield V does with it long-term. Then there are the usual slate of small changes. Classes have been overhauled again, with new “Archetypes” for each class. Most of these weren’t available in our demo, but the Support class for instance now breaks down into two subclasses: The Engineer uses light machine guns, and carries ammo pouches and mines, while the Machine Gunner subclass uses medium machine guns, carries an ammo crate and a flare gun. 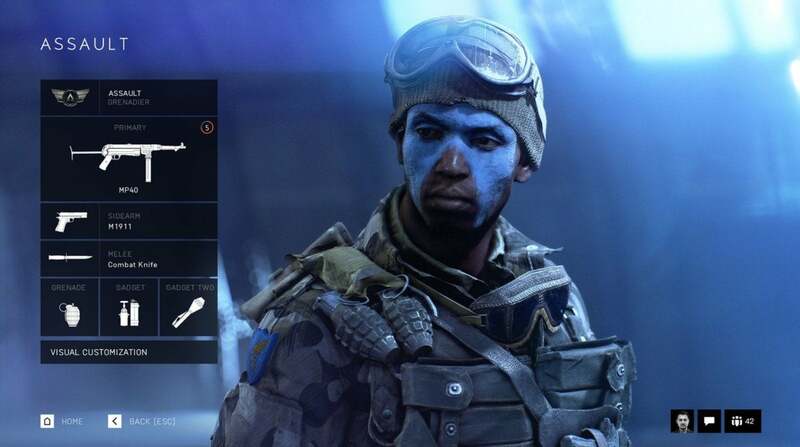 The other classes (Assault, Medic, Sniper) only had one Archetype to choose from, but it’s an interesting way for DICE to maybe get a bit more granular with loadouts. I’m curious to see how it works when everything’s implemented. Spawning is different too. Upon dying, you’ll almost always be shown a camera view of one of your squadmates, and can spawn on them pretty much instantaneously. It’s clearly the default now, as going back to the map to choose a particular point is about five seconds slower. Oh, and obviously it’s all World War II now. Everything is a bit more chaotic than Battlefield 1, as we move back closer to the modern era. Expect more machine guns and assault rifles, fewer bolt-action guns. World War II is still my favorite era of armaments, so I felt pretty at home here even if there was no M1 Garand in our demo. I had a lot of fun with the Bren Gun instead. 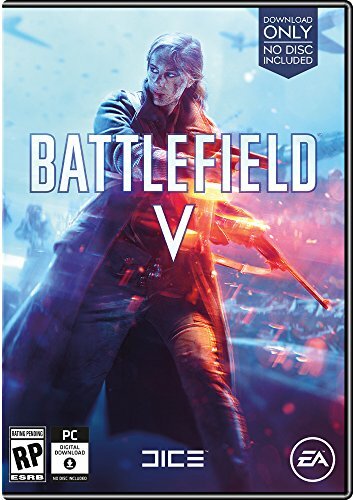 I really enjoyed my time with Battlefield V ($60 preorder on Amazon). Sure, it’s just “more Battlefield” at its core, but I think DICE is doing something fascinating and ambitious with Grand Operations. There’s a sense of scope to it that I don’t normally get from a multiplayer shooter, and while I loved it in Battlefield 1 I think it’s looking even better this time around. There’s still plenty more to find out about Battlefield V. Will War Stories still feel as novel for DICE’s sophomore attempt? What will the weird battle royale mode look like? And after the disastrous Star Wars: Battlefront II, the most important question: What does monetization look like this time? Is it any better? I hope so, because as things stand right now I’d love to sink a lot of hours into Battlefield V. Where other shooters of its era have stagnated, Battlefield somehow keeps evolving into better versions of itself. That alone is impressive.